The Summer is upon us and man is it cranky! At least here in Florida, its making it’s presence known! Here in Orlando, we have hit record-breaking heat, making it nearly impossible to be outside. It also doesn’t help that we are getting storm moments with lots of lighting and lots of humidity. I promise you that walking outside from being in a cool house is a slap in the face! Yuck! 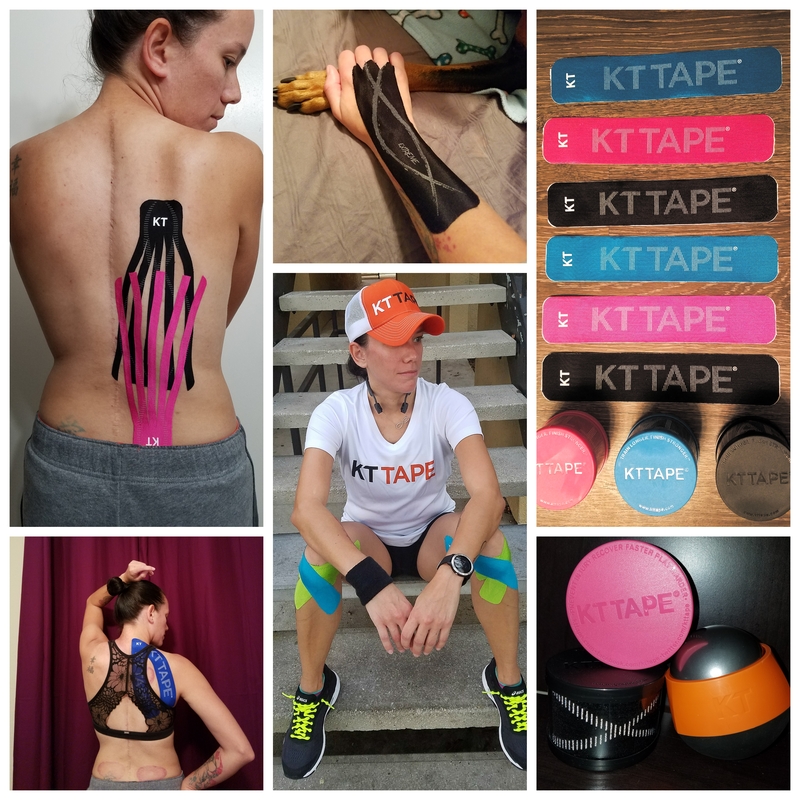 So as a runner in this ridiculous weather you all call Summer, I wanted to share some tips and reminders for running in the heat and humidity. 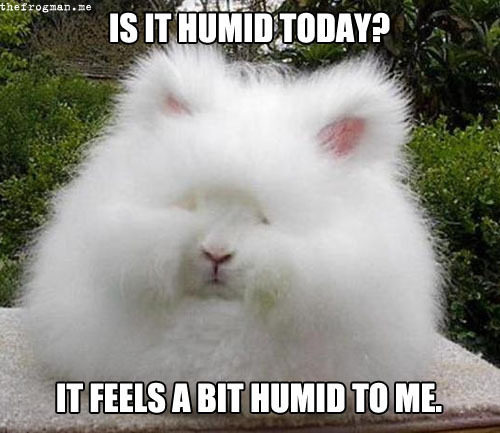 Want to know what else can happen when you run in high humidity? When you over heat, your breathing becomes shallow, your heart rate rises as your lungs and heart work harder to deliver oxygen to the rest of your body. Problem with that..it causes those annoying SIDE STITCHES! I know many of you have started asking me questions about why you are getting them now, well there it is. The heat and humidity are making things harder for you to run, not to mention my fellow Scoliosis fighters out there. 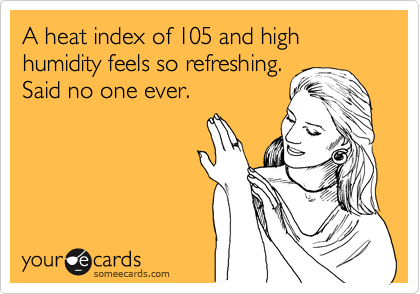 It’s harder for us to breathe in regular conditions let alone the heat and humidity! Continuing to run in those harsh conditions can result in severe illness and dehydration. Tip 1.- Run early, even before the sun comes up in the morning. While the sun is sleeping, you might find it easier to run in those less heated temps. Just keep in mind that you always check the humidity % each time you check the temps. While the temps in the morning are lower, the humidity can be higher making it harder to breathe among other issues I wrote above. Tip 2.- If you can’t run in the wee hours of the morning, try running later on in the evening. Since the sun is out longer during the Summer you’ll have more time to run until sunset. The temps are cooler and leaves for a beautiful sun setting sky. Tip 4.- Dress according to the heat. Make sure you wear loose, light-colored gear. It will also help that breeze get to your sweating working body easier. I never recommend cotton wear for running for many reasons, this being one of them. Find tech material tops and bottoms, including socks. Tip 5.- Use sunscreen. Going along with the previous tip, I know many guys that will run with no shirt, and some ladies run in just the running bra. Make sure that you are protecting your skin from skin cancer and skin damage. You should wear sunscreen with at least 30 SPF even on cloudy days. I have gotten a tan on cloudy days where I didn’t apply sunscreen.The clouds don’t block the UV rays. Tip 6.- Pay attention to the weather alerts. Look at those temps and humidity %. If there is a heat alert or severe storm alert, take your runs indoors! There are many weather apps you can use to keep track of whats happening around your area. Luckily I have an app and an awesome meteorologist @TMainolfiWESH who is always keeping me updated on any severe weather headed my way. 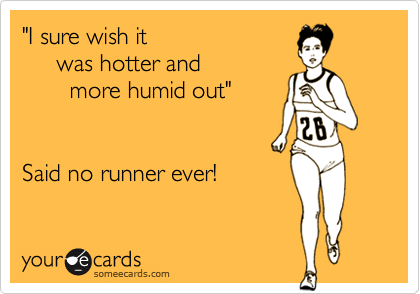 You don’t want to risk running and getting heat sick on a day with temps in the triple digits. Tip 7.- You might benefits from running near water. When you run by a lake, river, or the ocean you can have a better chance of a “cooler” breeze than running in the streets. That is where I run, it’s like a double positive for me. A nice trail alongside a river, and a cool breeze blowing off the water. Tip 8.- Have you ever gotten the chills while running? If you have then STOP and drink something with electrolytes IMMEDIATELY!!! Chills, nausea, dizziness, headaches are all symptoms of a heat illness. Find shade quickly and get some sports drink in your system. Do not continue running because you are close to getting heat stroke. Heatstroke is when the body fails to regulate its own temperature, and the body temps continues to rise. Symptoms include mental changes (such as confusion, delirium, or unconsciousness) and red, hot, and dry skin, even under the armpits. Heatstroke is a life-threatening and requires immediate emergency medical treatment. So make sure you are being smart if you will go out there and brave the heat, especially if you run alone. Tip 9.- Run low and slow. Until your body is used to the demands of running in the heat, run at a slower pace at a lower distance. The slower you start, the longer you’ll keep your body heat from reaching that ridiculous horrible threshold. If you normally run at an 8 mins pace, for example, do your first mile at a 10 mins pace. Tip 10.- Try running in the shade and avoid direct sun light as much as possible. Especially if you are out there more than 4 times a week. If you have change it up and find a shady trail versus the street side walks do it. It will keep you cooler, by a lot! Believe me! I have some points where I have to go into the sun from under the tree shades and it is a HUGE difference. Tip 11.- Run where you can refill your bottles. If you are heading for longer mileage, make sure you are able to get your hydration bottle refilled. Or if you don’t like to carry anything while running, then plan your run around water fountains. Something I do for longer runs is run a few miles out to the water fountains and turn around and make pit stops at my car where I would have my hydration bottle on ice making it a perfect cooled Vega Hydrator stop. Tip 12.- If you get a slower or lower distance than what you normally run, don’t get discouraged. Prepare yourself mentally for a slower time, and having trouble keeping it. Like I said, until your body is used to it, lower your speed expectations. Especially if you are racing and it is H-O-T. 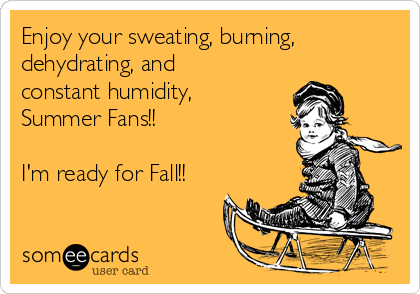 It isn’t fun being that most of us training for a fall marathon have to brave the Summer heat at times to get that mileage in. There isn’t anything we can do about it, we just have to train smart and adjust accordingly. Hoping these tips help you have a success training season. 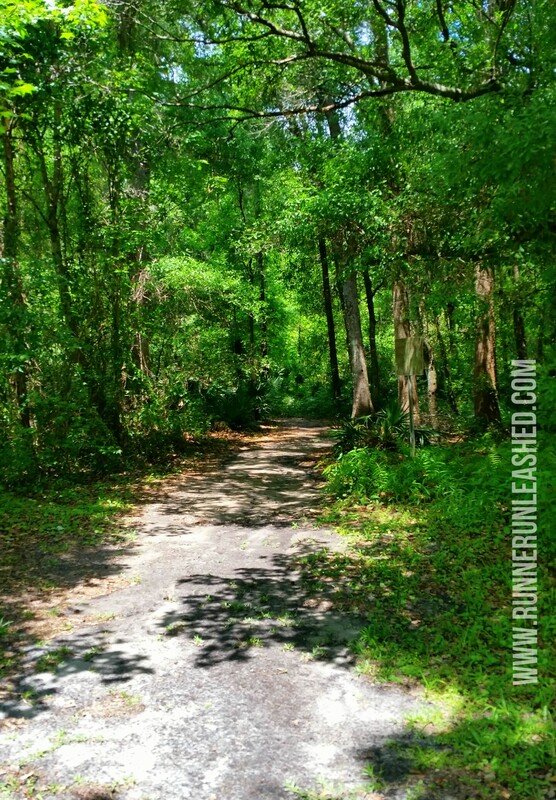 I live in a hot and humid Gulf Coast city, but recently started walking/jogging. Thank you for your tips! Reading your article explained puzzling incidents that have happened. Previous Previous post: RunnerBox for the Summer!